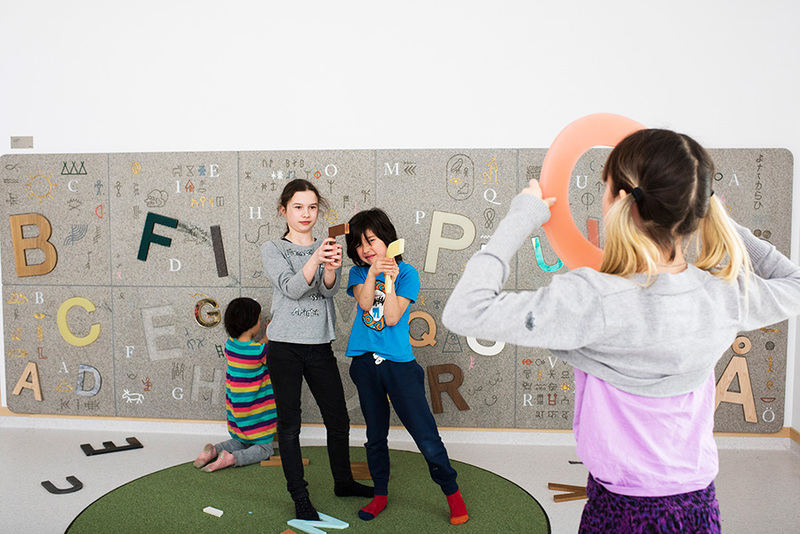 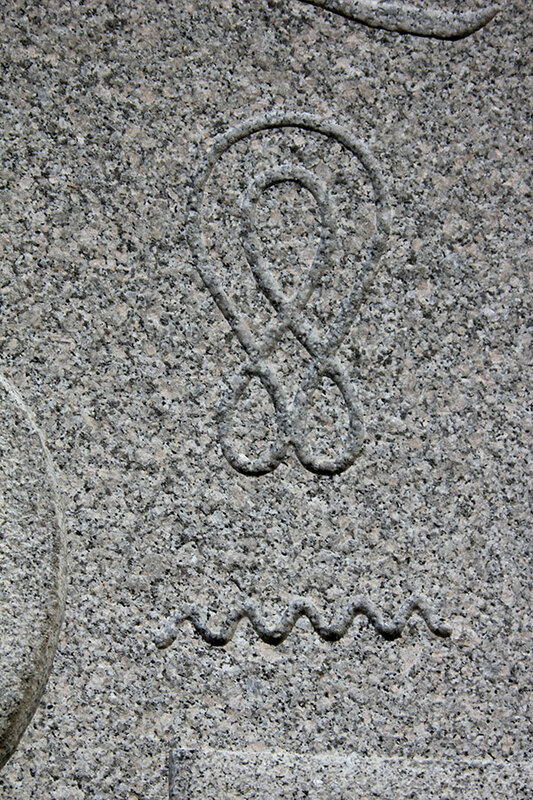 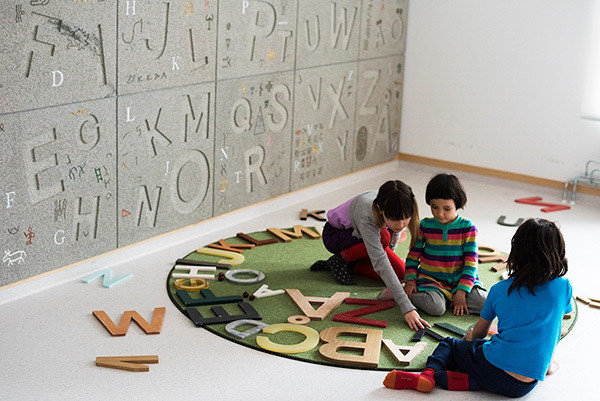 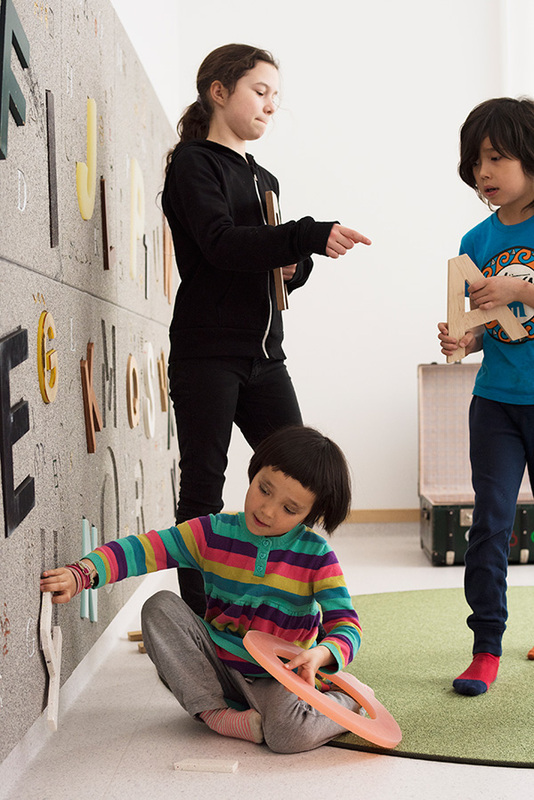 A, B, se is an interactive wall puzzle in granite at the day care center Blomsterkungen in Stockholm, with engraved signs and movable three-dimensional letters in different materials and from different cultures and eras. 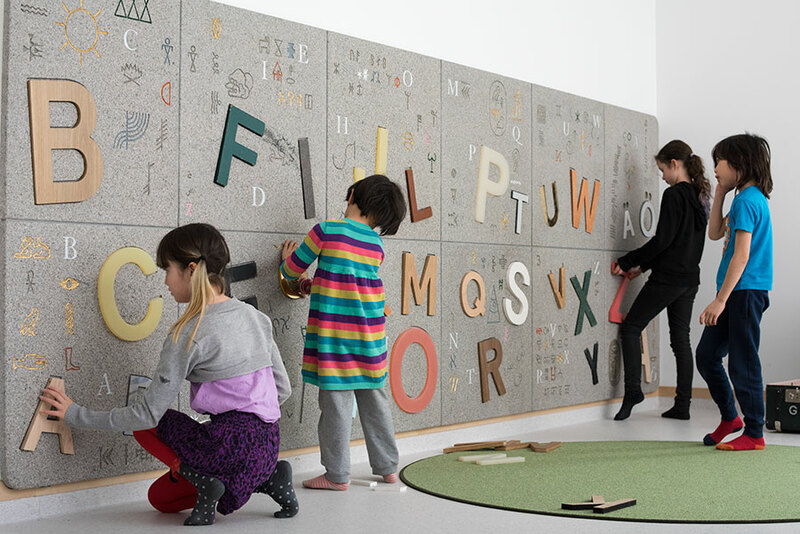 The letters can be lifted out from the wall, played around with and fit in again like a big puzzle, kids memorize the shapes with their whole body. 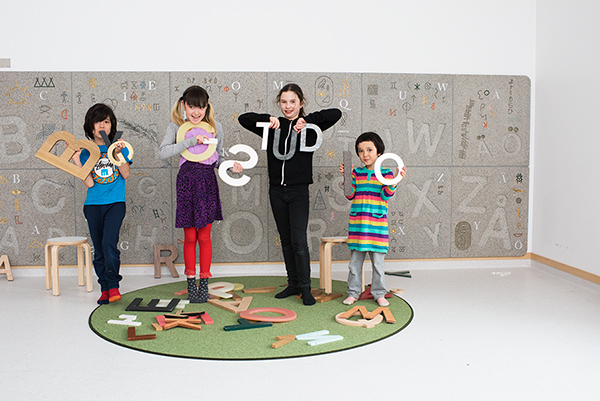 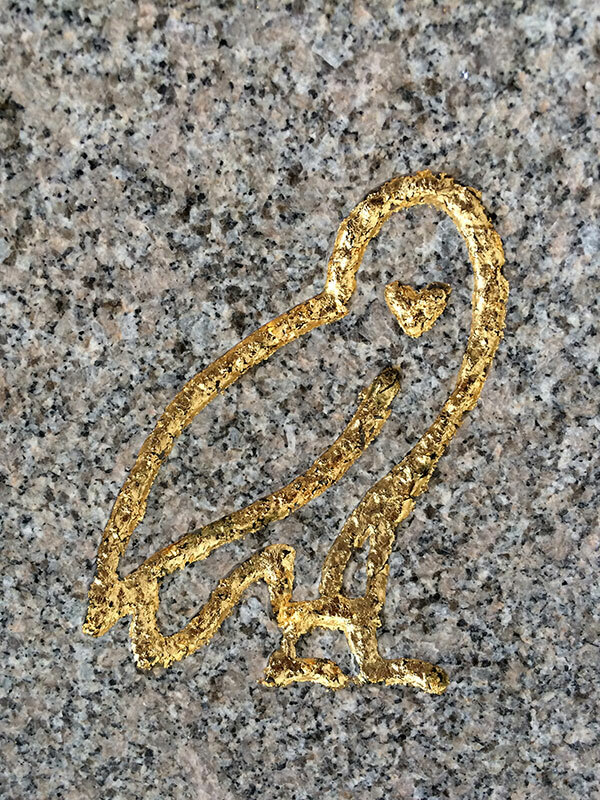 The design is inspired by classic temple walls with carved characters to inspire the kids to be curious about letters and languages. 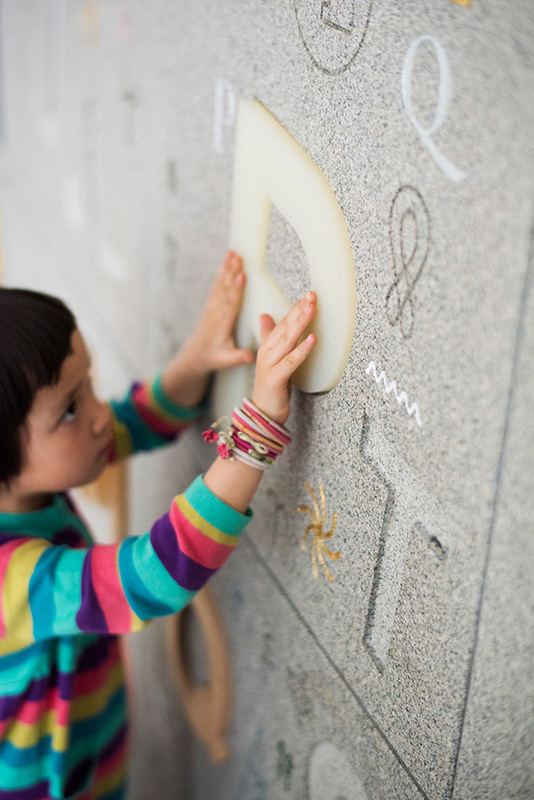 Many of these languages ​​are not used anymore, as cuneiform or Egyptian hieroglyphics and runic script, but the wall is also composed with live written languages ​​like Arabic, Cyrillic and Chinese. 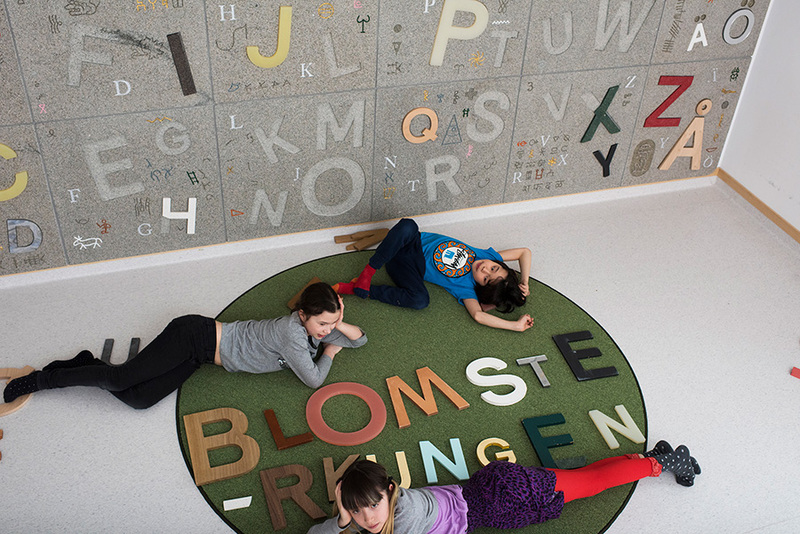 Commissioned by Stockholm konst.